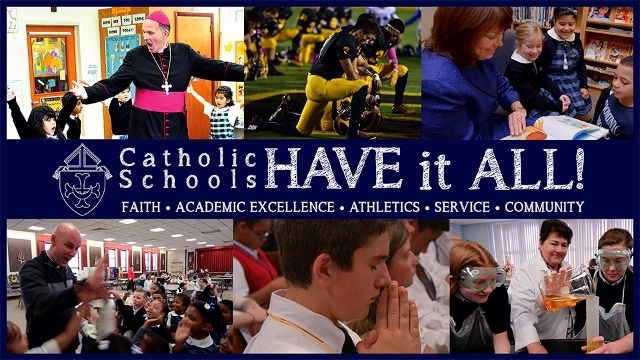 OUR SCHOOL Catholic Schools - Have It All! Catholic Schools - Have It All! One of the greatest contributions of the Catholic Church in our country remains the establishment of Catholic schools. Millions of young Catholics (and numerous non-Catholics) have been educated in Catholic schools since the very foundation of the United States. In the Diocese of Trenton, "Catholic Schools Have It All" and are committed to excellence in academics including subjects such as science, technology, engineering and math, as well as in the arts and athletics. And there's something students can't learn in public schools — a devotion to Christ and formation of their Catholic faith.